I wound up returning a book, so I had book credit. This automatically seems to lead to me buying books ASAP. I narrowed my purchases down and hopefully will be able to resist until October when there are a couple books out that I haven't pre-ordered yet. I figured since my birthday was in October, I should wait and concentrate on the months before. I allowed myself FOUR more books. I have seen a few good reviews of this, too. It is only out in hardcover in Canada, but the UK claims it has a paperback edition. The paperback isn't out here until August, so hopefully it is the same book! I wanted this back when I ordered my other non-fiction books, but I had to say no to some things. I decided to get it with the next book I will be posting. Since the other book is a pre-order it won't get here until May. That means I will have it eventually, but will give me time to read what I have all ready bought. Troublesome Young Men was really interesting. Decided to try another book by her. The hardcover is out all ready, but going to wait for the paperback release in May. I'll be interested to see what you think of Citizens of London. I have heard good things, though I am of course prejudiced because I frantically love all things relating to England during World War II. Among Others you will surely like, because it's very good. Ooh! The Irregulars is already on my tbr list. I can't wait to read your thoughts on it. Happy reading! 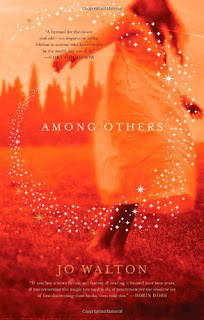 I LOVE the cover of Among Others!!! Enough that I'm going to definitely have to pick it up and read the book even though I haven't the slightest clue of what it is about :) Enjoy your new books! 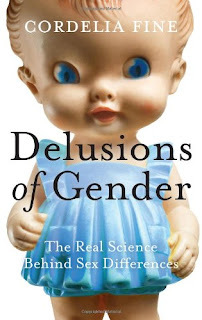 I love the cover of Delusions of Gender! I hope all of your books are winners! yay! I hope you like the Fine and the Walton as much as I did. Also, Citizens of London sounds really interesting. I think it's going to be great - keeping my fingers crossed. *Jenny: I have to finish Troublesome Young Men by her first! I am so slow with things lately! *Vasilly: That has all ready shipped, so looking forward to it! *bermudaonion: Thanks! I am hoping Delusions of Gender is really good. It hasn't shipped yet, but hopefully soon! *Ana: Me too! Citizens of London does sound good. Hopefully I enjoy them all! *Iliana: I look forward to our buddy read!